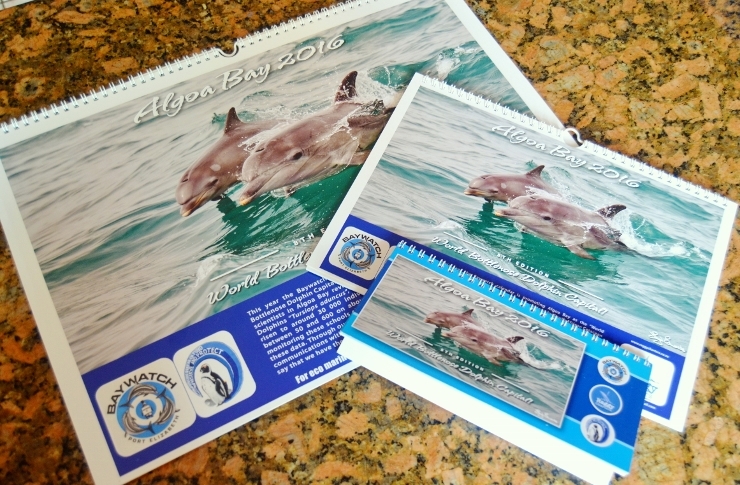 Every year the Baywatch Project and Raggy Charters produce a calendar of Algoa Bay! 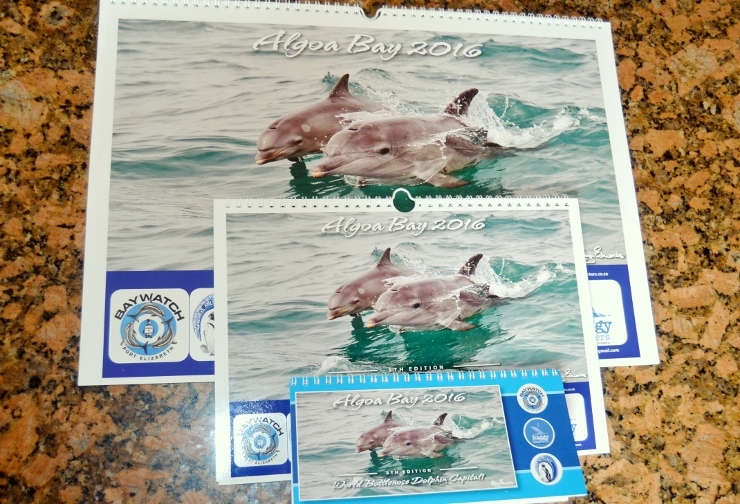 All the photos in the calendar are taken by Raggy Charters staff during our marine eco-tours in to Algoa Bay. 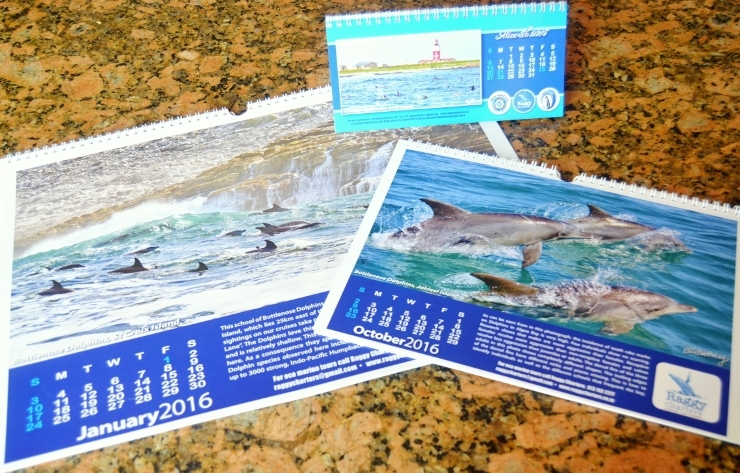 This year the calendar is focusing on the bottlenose dolphin, as we are hoping Algoa Bay as the 'Bottlenose Dolphin Capital of the World'. The last research done by South African cetacean scientists in Algoa Bay revealed that about 20,000 Indo-Pacific bottlenose dolphins (Tursiops aduncus) make use of the bay. This number could have risen to 30,000 individuals. Raggy Charters observes schools of between 50 and 600 on about 90% of our cruises. We have been monitoring these pods since 1997 and have a dolphin scientist analyzing these data. Through our membership with the World Cetacean Alliance and in communications with other dolphin scientists around the world, we can safely say that we have the largest population of bottlenose dolphins on the planet! 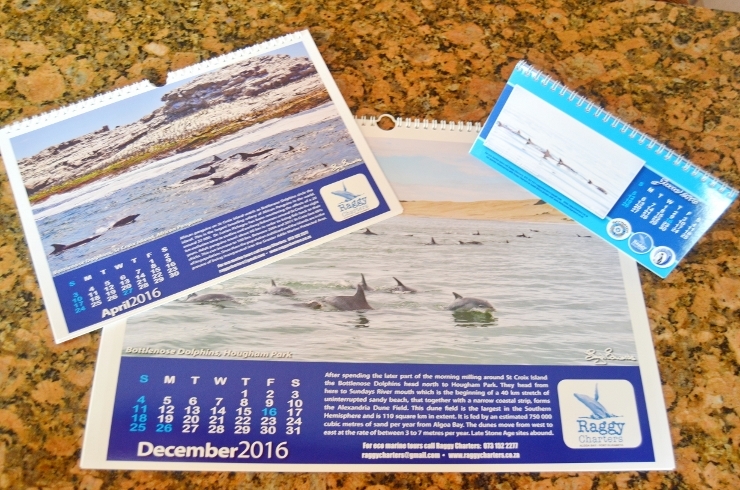 We also offer a corporate version to companies who are looking for an end of year gift to hand out to employees and clients. 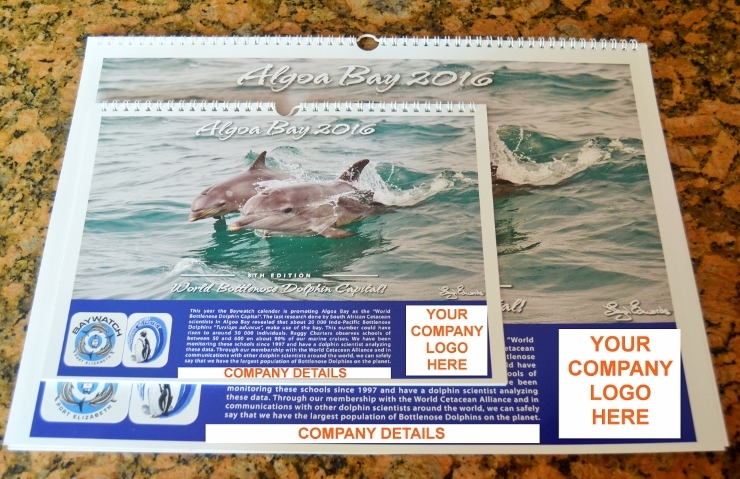 You can put your own logo and contact details on every page in place of our logo and details! Please email us to place an order!! !